It is a truth universally acknowledged that Apple will release an iPhone later this year with a larger screen (probably a 4.7" screen). Few solid details are known about this screen, not its construction, resolution, or exact size, but today 9to5Mac has put forward a novel theory which guesses at the resolution. They say they have sources which put the resolution of the new screen at 1704 x 960. While that is not a clean multiple of the resolution of the existing 4" screen, 9to5Mac has an explanation as to why this is the new screen resolution. The first iPhone had a 3.5" screen with a resolution of 320 x 480. The resolution was quadrupled three years later to 960 x 640, while the screen size remained the same. And then in 2012 Apple debuted a 4" iPhone with a longer screen (1136 x 640). And that brings us to today. 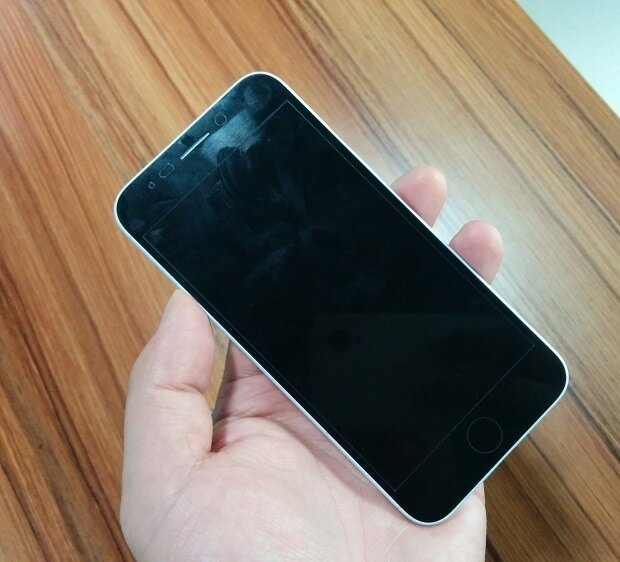 The iPhone 6 is expected to have a 4.7" screen. Clearly the new and larger screen is going to have more pixels than the existing screen on the iPhone 5s, but your guess is as good as mine as to the number. The simple and straightforward solution would be to quadruple the resolution again, this time jumping to 2272 x 1280. That would result in a screen which was so sharp you would be able to see an angel dance on the head of a pin. This screen would have a pixel density of around 555 ppi, which so far as I know is sharper than anything else on the market. They got the description of the math wrong, but I still agree with their math and their argument which supports it. While this idea is a little crazy, it is the best argument I have read so far. Would anyone care to take a bet on whether this is true? Such a screen would cost maybe some 20$ or 50% more than their current screen, higher res would cost even more and Apple is not the one to go crazy unless it’s for marketing reasons and then they would have to go way higher. A bigger screen uses more power , this assumed resolution is 2.25 times more pixels than their current screens so it will require a much faster GPU so the battery goes bigger. If they go bigger screen it makes sense to go thinner so they are unlikely to be all that eager to go for even higher power consumption and more battery. Going 20nm might be unavoidable as it is to be able to fit the GPU they need, remains to be seen if 20nm was available in high enough volume in time but it would help quite abit with power consumption. As for ppi, Oppo Find 7 is at about 538 and the rumored 5.5 inch 2560×1536 Meizu MX4G would be a bit higher but that’s a rumor. Anyway Apple is greed driven ,they would got for a high cost part if it would be one of the 2-3 marketing ” hooks” they need with each launch to make people buy it. This time around just going bigger is enough on the screen side and they can advertise a 2x faster GPU plus add some actual functionality to the fingerprint sensor since that’s unused hardware so far.If the phone is thinner,it’s a big plus too since on the Android side things got out of hand with everybody chasing more perf and staying thick for the last few years ( I really thought we would have 4mm thin phones by now). So no need for Apple to go even higher res, keeping the ppi flatish makes sense.Wall Street will freak about margins as it is since even if it costs just 20$ more, it adds 10$ to the BOM. What i do wonder is if they go 4k in tablets this year, might be too soon to be able to do it without taking a huge hit on margins but it’s hard to see what they can add to the ipad to make people upgrade.They cna go thinner and lower weight and shave the bezels a bit but that’s too little. Yep. Cost and power usage are two good reasons for Apple to go for an intermediate step.